Fruitless Pursuits: WASO and The Lord of the Rings: Fellowship of the Ring! 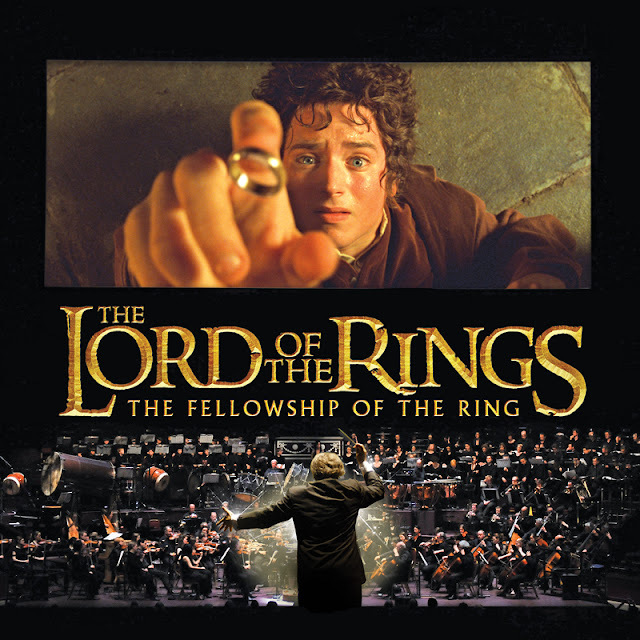 WASO and The Lord of the Rings: Fellowship of the Ring! Sometimes multiple things that I love collide and smoodge together in a way so infinitely pleasing that I raise my eyes to the sky and thank the nerd gods for their benevolence. I adore orchestral music, always have. Often doesn’t matter what the music is, the experience of having it played by 50 - 100 of the countries best musicians will always conquer the professional recording. The West Australian Symphony Orchestra (WASO) are no stranger to crowdpleasing romps that get all the nerds aflutter - they did a massively well received concert of the work of John Williams, and a separate rendition of the Star Wars themes, and have a similarly exciting follow-up planned. Join me after the jump for more orchestral-swooning! The Lord of the Rings score is epically beautiful on so many levels. It’s a rightly-deserved award winner and a jewel in Howard Shore’s crown (did you know he was responsible for That Thing You Do?? ), and he spent a reasonable chunk of the years following LOTR touring about the place conducting local orchestras in The Lord of the Rings: Symphony in Six Movements (take my firstborn, just let this be performed in Perth). 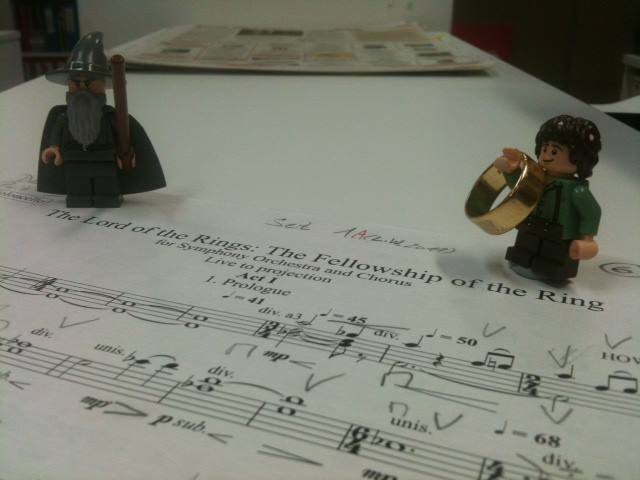 From 2008 the arrangements were made for a digitally remixed copy of Fellowship to be released, sans score, for orchestras to accompany, and my lord what a glorious decision. The first performed arrangement was the Winnipeg Symphony Orchestras, and the whole shebang has snowballed since then. Which takes us to now: WASO have elected to perform Fellowship twice on consecutive nights at the glorious Riverside Theatre, which will be familiar for Oz Comic-Con attendees. We left booking very late, and were thus up against the back wall looking down across the crowd to the orchestra. It was completely sold out and subsequently packed - and with two exceptions, surprisingly free from Hobbitses. And the stage was very nearly as packed as the audience - the 50-ish strong musician setup was accompanied by the WASO Chorus, St George’s Cathedral Choir (segregated into men and womens) and Trinity College choir (boys, approx 10-14). There was a grand piano, two uprights, a dulcimer, tubular bells, massive kettle drums, whole deal. Watching the conductor Ludwig Wicki weaving in and out of his exits made me stress for him. My one and only quibble with the evening was the screen, and I don’t even think it could be improved - an orchestra gives off a crapload of light. Every piece of manuscript has to be lit, a full orchestra needs to see what the conductor and first violinist are doing, it all makes sense. Sadly light doesn’t play nice with projection, and scenes like the plunging into the catacombs of Isengard from the top of the tower were barely visible. Which was really unfortunate, because the awesomeness of hearing the score live was really driven home for me in the Urukhai scenes, with the thundering drums and bellowing horn section, which also tended to be the darkest visually and thus the most obscured. I really can’t imagine how you’d address this, save putting a greater distance between the orchestra and the screen, which seems equally unfeasible. If you’re fitting a good 150 people on stage, the only option regarding where to stand is usually on-top-of-the-person-in-front-of-you. Score music being what it is, there were definitely performers who spent a good deal of time sitting politely and waiting for their parts - namely the vocal soloist Kaitlyn Lusk and the boys choir. I’m not looking to sound condescending, but credit where it’s due - those boys were professionals. If you’ve ever asked a pre-pubescent lad to sit still for three hours, you’ll understand. Worth noting as well that the choirs would stand and sit repeatedly through the performance, and having sung in choirs before I was completely astonished by how quietly and unobtrusively this was done. My high school Head of Music would have been in tears. And having talked all around the central aspect of the evening - the orchestra. There’s not really a lot you can review in something like this. Of course it was glorious, and transcendent, and those principal themes - the Ring, Lothlorien, Mordor - have such deep emotional connections now that you feel them rather than hear them. And you definitely feel the big thundering moments. I got a little bit excited whenever I saw the percussionists sidling over to the big drums. Some mic troubles at the beginning of the second set brought things to a halt for a short while, but barring that, the sound mixing and syncing were great. And the stamina of the musicians was really driven home for me in the ten minutes of applause at the end. I was sitting there, going “lordy, my arms are tired, I’ve been clapping for ages!” and then I cringed a bit upon realising that the people I was applauding had just undertaken a 3 hour marathon of performance. Shame on me. And speaking of shame, someone didn’t raise their little ones right - there was a disturbing amount of people getting up and leaving during the credits, i.e. when the orchestra has it’s big finale montage of all the themes and Lusk gets to do a full song. Why? Why would you? If you were only there for the film, why not go with the DVD? There is a special place in hell for people who show that much disrespect for the performers and other audience members. Fer shame. And now to find a new franchise for them to use! Fingers crossed for Tron: Legacy, but I’m not holding my breath. I am so glad that someone found this as fantastic as I did. Oh man, I am still giddy from that performance. It's the most I have enjoyed that film since I was in highschool and I REALLY love those films. Glad to hear I have not missed Pirates either because I think my arm could be totally twisted into that. Great review Suz; I love all the orchestral info!